A couple of months ago, my friend Sarah from grad school contacted me. It’s been eight years since we graduated, and we live several states apart, but thanks to the magic of social media, Sarah knew that I had this little beauty blog. She asked if I could write a post about growing out hair after chemo treatments. I was saddened to hear that Sarah had gone through this since we had last seen each other but flattered that she thought me worthy to give this important topic the due it deserved. I counter-offered. What if I write what I can remember from my mom’s experience dealing with post-chemo hair, Sarah writes her own personal account, and then I contact another girlfriend who I knew dealt with this same situation. And so now, I’m extremely proud to bring you this three-part series. As a disclaimer, I have chosen to post mine first, because my second-hand account will be nowhere as good as what Sarah and Mary Beth will so bravely share with you. If you’ve been reading Beautypendence, you’ve heard me tell the story of my mom’s battle with ovarian cancer. She was diagnosed in early 2007 and began chemo treatments that summer. 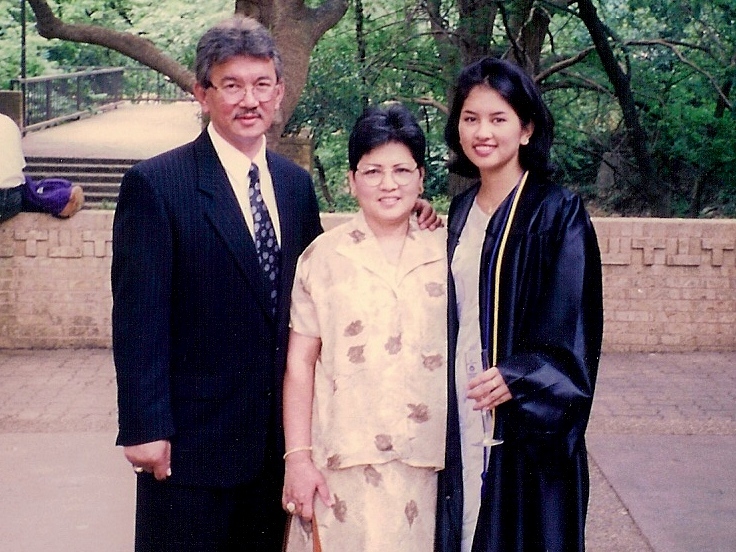 My mom always had thick, coarse, wavy black hair. Unlike me, who started getting white hairs by the time I hit 30, my mom didn’t start graying till her 40s. 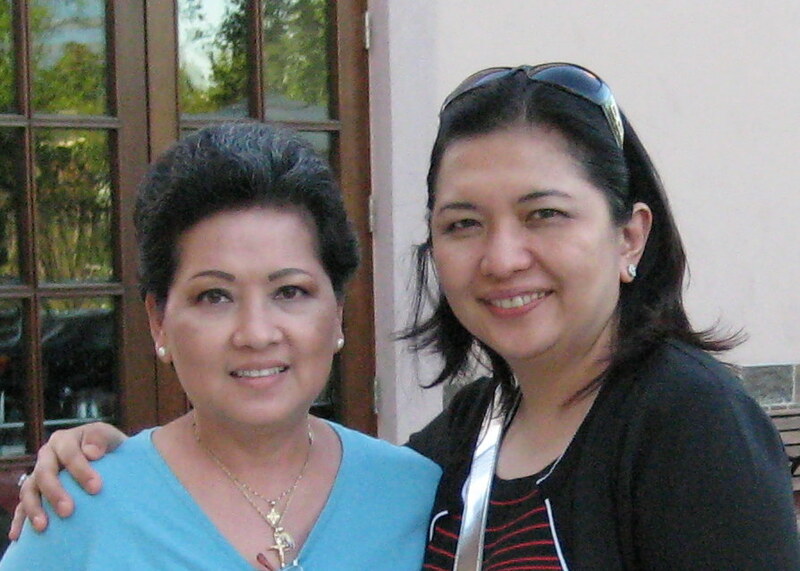 In the late ’80s and early ’90s, she had worn her hair long, but mostly, I remember my mom as having short hair. 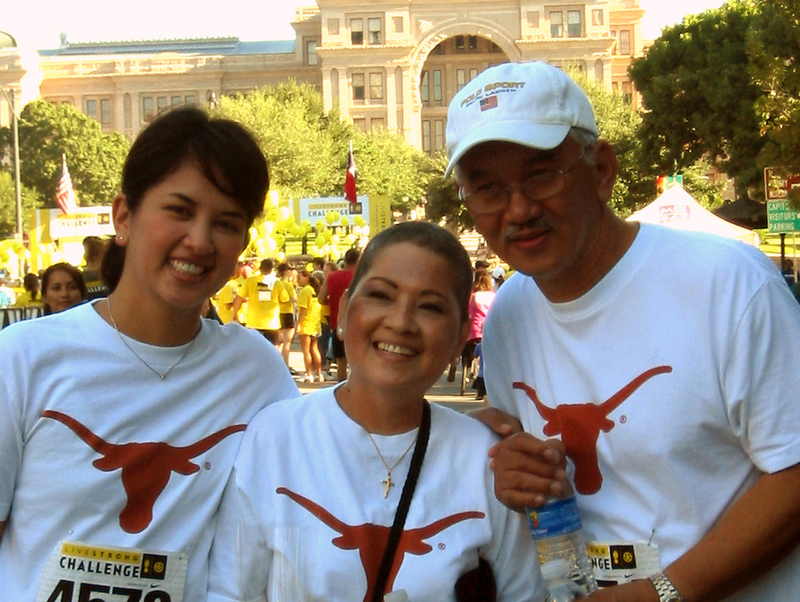 Once my mom started chemo treatments, her hair began to fall out. She shaved her head, and in solidarity, so did my dad. After she wrapped up her first round of chemo and some recovery time, my mom felt well enough to go back to work. She purchased a wig that resembled her hairstyle just prior to cancer. I don’t have a photo, but I remember it looking very natural, but in the dark brown color that she had been coloring her hair. Around the house, my mom would keep her head warm and covered with a bandanna or cap. Once her hair started to grow back, she wore the wig less often. My mom’s hair grew back different. She previously had thick and wavy hair, but her new hair was even thicker and curlier. She stored the wig away and felt comfortable donning her poofier ‘do. She continued to let her hair grow out and gained a little length in the back but kept it combed back and tame. In early 2009, she went through several second-line chemo treatments, but I don’t recall her losing her hair again. 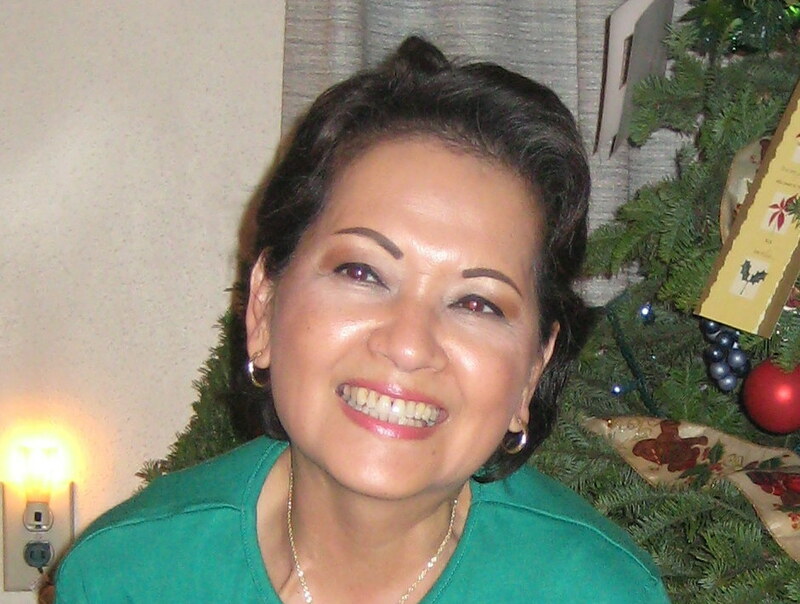 The last photo I have of my mom is from Christmas 2008, two weeks before her 59th birthday, and about four and a half months before she passed. You can see, she still maintained impeccable skincare and makeup habits. In those last two years, she was still giving me tips on new products she had tried and like. If my complexion looks that good and wrinkle-free 20 years from now, I’ll count myself one lucky girl! Over this week, I will post Sarah and Mary Beth’s stories. I can’t wait for you all to read what these brave women have to say. Be prepared to laugh and be inspired! What Do You Know About Ovarian Cancer? This entry was posted in Viewpoints and tagged cancer, chemo, guest post, hair on November 4, 2013 by jenn. Looking forward to reading the rest of this series and much appreciated this post. My mom also has had ovarian cancer and lost her hair as a result. Losing eyebrows and lashes was another challenging hair loss chemo side effect — she even tried a brow pencil and she never wears makeup! Just wanted to mention also that if you haven’t already done so you might want to talk with a genetic counselor about your or other family member’s potential cancer risk, given your mom’s ovarian cancer. Even if you don’t have other cancers in your family, that one diagnosis is now considered sufficient to warrant genetic testing fro a BRCA mutation… Thanks again for the post. Thanks so much, Linda. I did in fact do the BRCA analysis soon after my mother passed. Fortunately, I tested negative. Thanks for mentioning genetic testing in this forum. We all have to look out for each other! Glad to hear that you were tested for BRCA mutation and found to be negative. Often people don’t associate it with ovarian cancer as much as breast cancer — you did good research and/or had good doctors helping you! Unfortunately my mom is BRCA+, as am I. But with that knowledge I have been able to make educated decisions about managing my increased risk — including surgery to remove my ovaries and fallopian tubes. Great that you don’t have to face those particular issues. And I forgot to say the obvious, that I am so sorry about your mother’s illness and eventual death. Condolences to you and your family on your loss.